We have been hearing about the new Samsung Galaxy J2 smartphone over the last few weeks, the device is now official and it is launching in India. 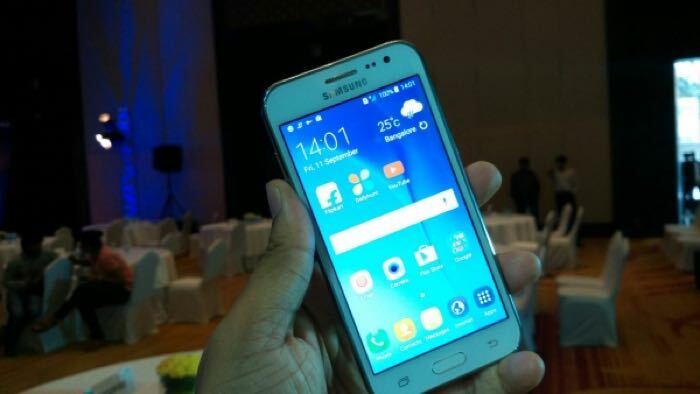 The Samsung Galaxy J2 will retail for Rs. 8490 in India which is about $130 at the current exchange rate, this is for the unlocked device and it will go on sale in the 21st of September. The device will be available in three colors, gold, white and black and it comes with a 4.7 inch display with a qHD resolution of 960 x 540- pixels. The Samsung Galaxy J2 comes with Android 5.1.1 Lollipop and it features a quad core 1.3GHz Exynos 3475 processor and 1GB of RAM, there is also a microSD card slot for extra storage and 8GB of included storage. The handset comes with a 2 megapixel front facing camera and a 5 megapixel rear camera, the device also features a 2000 mAh battery.